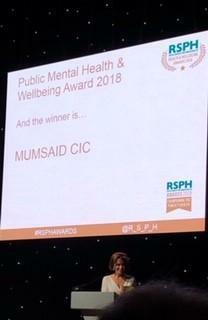 We have great pleasure to announce that MumsAid has won the Public Mental Health & Well being award 2018. 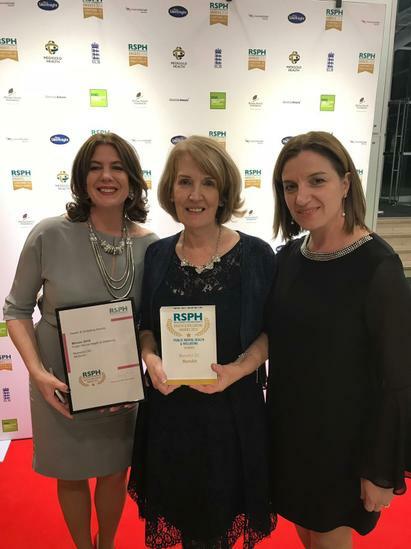 We work closely with MumsAid and can see the great positive impact they provide our families with. 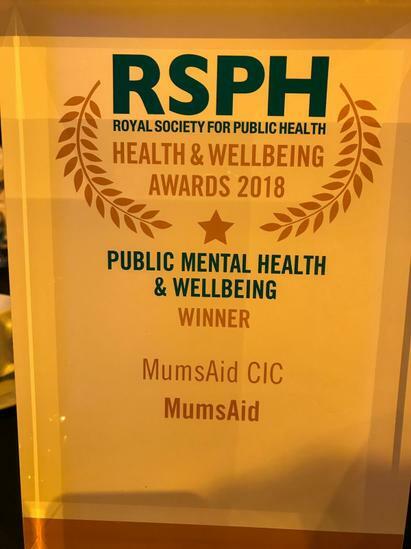 If you would like to know more about MumsAid and the services they provide, please do not hesitate to contact your local CGCC children's centre. 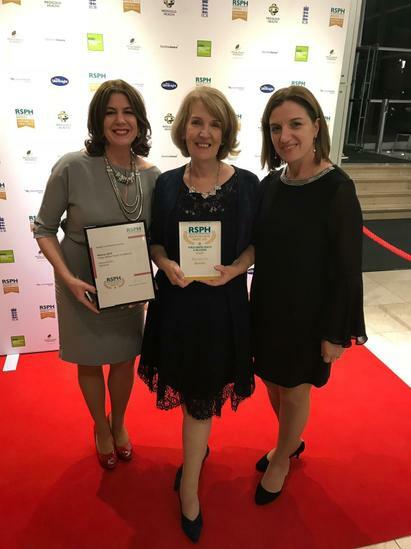 Once again a huge congratulations to MumsAid on winning such a great award!